It’s no problem for us to sleep in the middle of the street, and we discovered in Brussel that the inhabitants are like us (wahou, crazy insight !). A siesta for us after the lunch and then started the dance of the sleepers. They were so confident that they permit themselves to loose concience in a open air area. No need to explain you that the walls of your room are sometimes not necessary to offer you a deep sleep. Come and try ! Nous n’avons pas de problème à dormir dehors et eux non plus. À notre grand étonnement, nombreux sont les habitants qui s’offrent ces instants de confiance totale envers la ville et ses malfrats. Attendons nous donc à apercevoir des dormeurs de jour au coeur des capitales européennes. Le room service n’étant assuré que par intermittence, ayez l’obligeance de vous déchausser. Fermez les yeux sur votre rue. 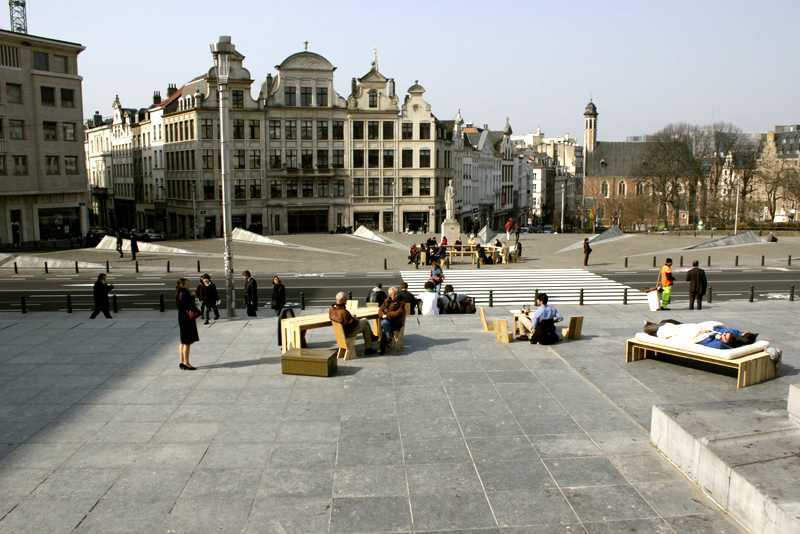 March 2012, 30 minutes, Bruxelles, Belgium. Device: 1 bed, 1 matress, 1 blanket, 2 pillows. 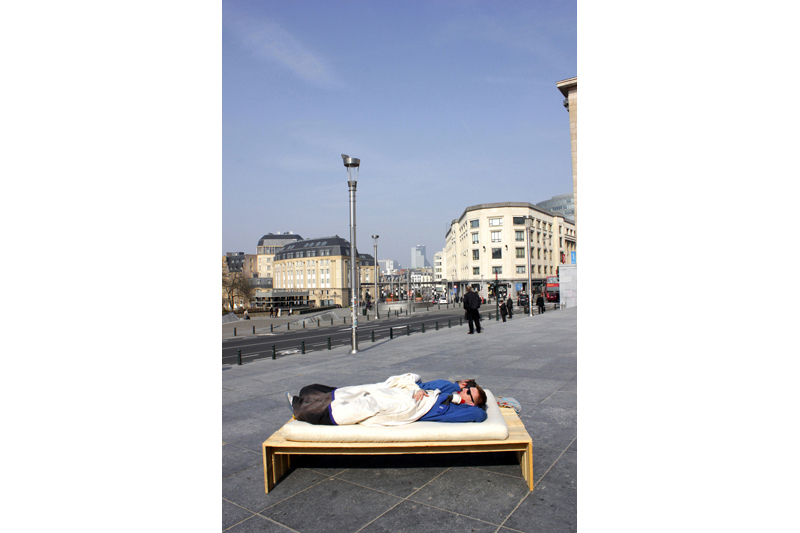 Facts : To do and offer the chance to people to make a nap outdoor.